It has been quite some time since we last discussed Ubuntu for Android, not to be confused with Ubuntu Mobile, and apparently there is good reason as to why there are no more discussions regarding the subject – no one is currently working on it. 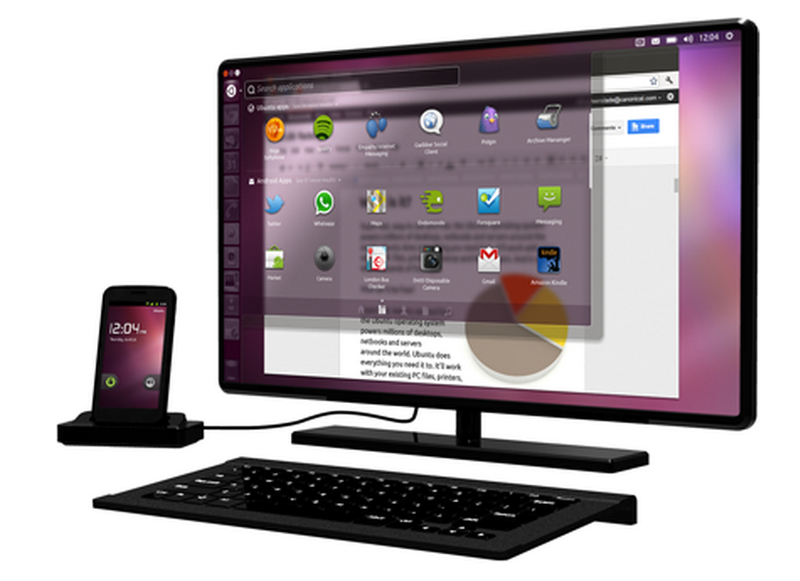 2012 was the year in which talks began picking up about Ubuntu and Android being paired, with the idea being that once an Android phone was docked into a monitor, it could essentially turn itself into a PC running Ubuntu. It was an awesome idea, but it appears that the folks at Canonical are done working on it, at least for now. Canonical states that if they can find themselves an OEM partner, they would be ready to start up development of the platform once again. In a statement given to Android Authority, Canonical is pretty clear that the service is not entirely dead, but in a form of deep hibernation until time comes for it to be awoken. To take the development further requires a launch partner in order to make the necessary modifications on the Android side. We are currently not in concrete discussions with launch partners, but we are still very much open to such a partnership. We are focused on Ubuntu for Phones at the moment, therefore we are not actively pushing for Ubuntu for Android.However, if a prospective partner steps forward, we are very much open to launching Ubuntu for Android. While this news may not be a big deal, since Ubuntu for Android hasn’t exactly been in the news for some time, it was quite the requested feature back in the day, with plenty of people hoping to see it come to fruition. It appears that if no partners intend on partnering with Canonical, it may never come.